Fall is officially here! 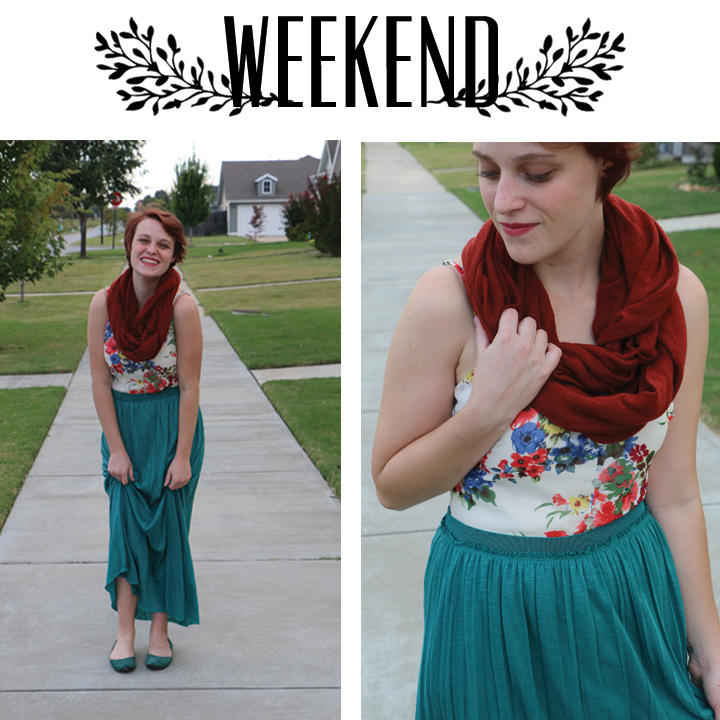 Fall in Arkansas is gorgeous, but I am not ready to give up my favorite summer items! Everyone has their own secrets when it comes to transitioning between seasons, here are mine! During the work week I like to keep things more a bit more structured. 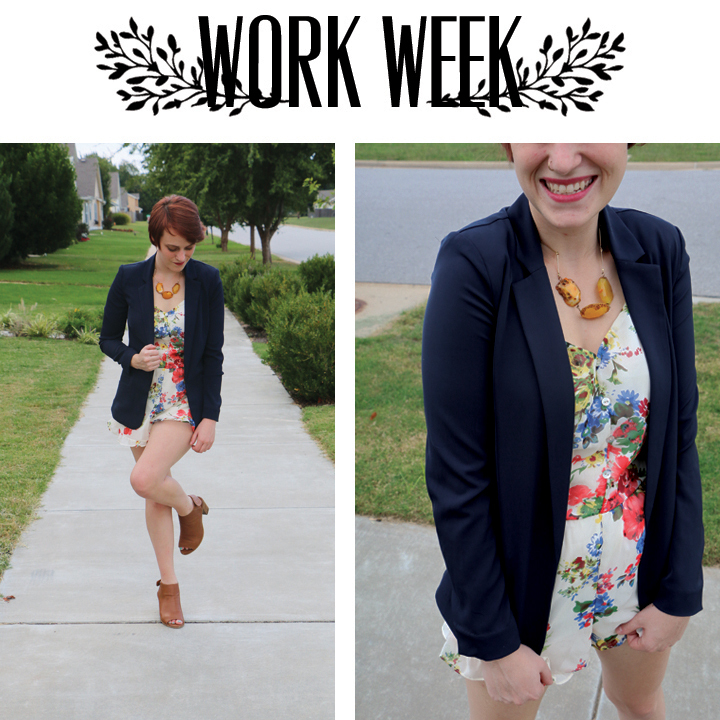 A fitted blazer and a neutral pair of heels are the perfect way to dress up this romper! A natural stone necklace and a bright lip add a bit more interest to my work day, while still keeping my look professional. Weekends are the perfect time to play with color! I layered a flowy maxi-skirt over my romper to create the illusion of a shirt and skirt. I love the combination of teal and red and this romper makes the perfect base! This outfit is perfect for a trip to the farmer’s market and lunch with friends! Sunday is here so I am keeping my look casual and comfy! I LOVE the mix of subtle stripes and the vibrant floral pattern. 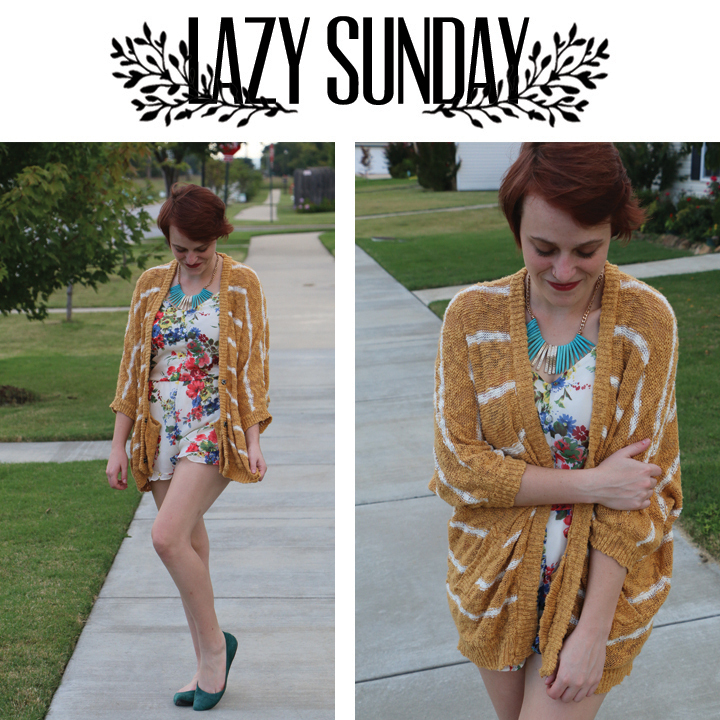 This oversized sweater is perfect for cuddling up on the couch or a quick stroll around the block! We love all out your outfits. They are great ideas about transitioning through seasons. Thank so much! You both have great style as well! Thanks for reading!